One of the first things we did on buying this house was to fix-up the kennels. These consisted of a set of 4 thin hutches, each with concrete floor and a rear wooden compartment behind a wooden door with cat-flap so we could put his bed, water and toys in out of the rain. We knocked two of the thin kennels together and patched-up one of the hutches, adding polystyrene foam insulation and wooden board for extra comfort. So this morning, I put Dog in his shiny house and wandered off to church. Came back a couple of hours later to find herself(TM) complaining that I’d put him on the wrong side of the door before shutting it… animal found wandering around the garden. At least we now know he won’t willingly leave the garden altogether, but that was pretty scary. On investigation, it transpires he left his nice comfy house, went into the neighbouring kennel and chewed and dug his way right through the rotten wood of the back wall. It’s amazing how much damage one dog can cause! 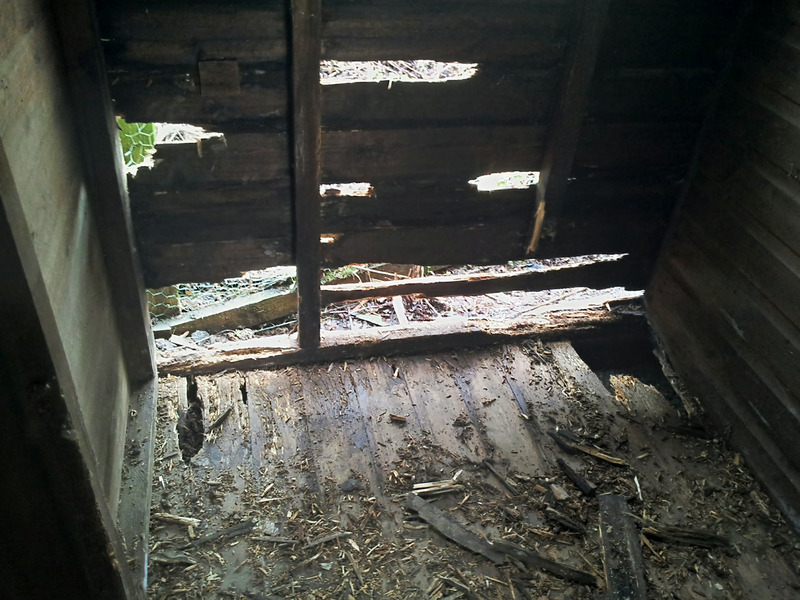 This entry was posted in mobile photos and tagged damage, dog, kennel, rotten, Wood.